Or view larger version. 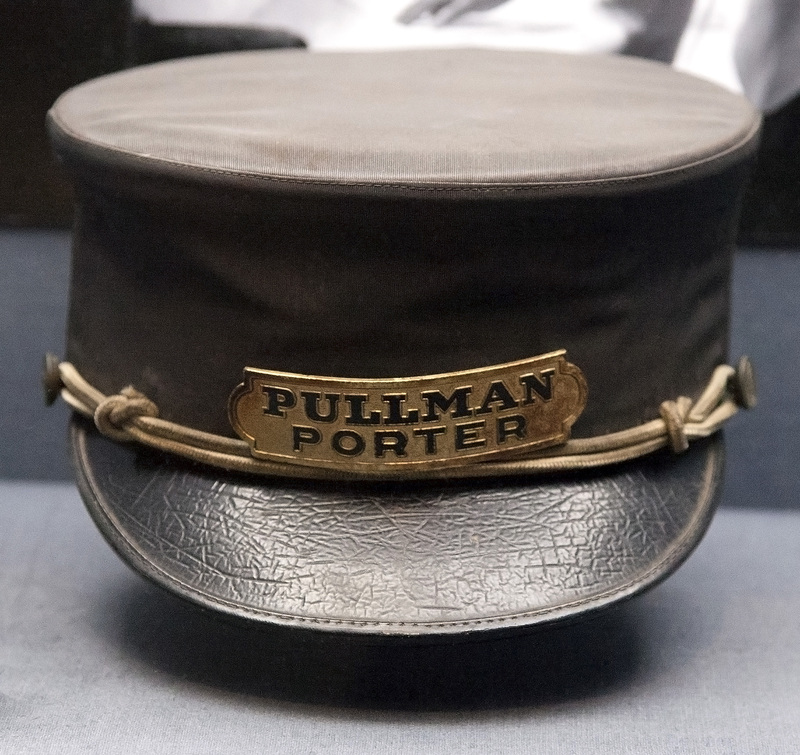 Pullman Porter Cap. ca. 1945–1948. Made by J. Apfelbaum Co. Hat. Collection of Oakland Museum of California. Gift of Mr. Vance Thompson.